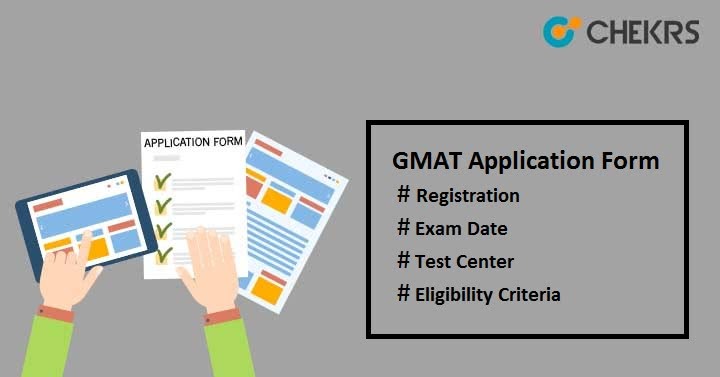 GMAT Application Form 2019: The Graduate Management Admission Council conducts GMAT i.e. Graduate Management Admission Test for those candidates who wish to pursue management courses from any MBA university or institutes across the Country. To do GMAT Online Registration, candidates must have a valid email id. Otherwise, create a new account and then register for GMAT-2019 at the official website. The test center could be at any city across the country. Are you interested to do MBA, PGDMA or any other management courses??? You can check the detailed information here to fill the application form, last date to apply, eligibility criteria for admission etc. This exam is organized throughout the year. Candidates can apply for this examination five times a year but can attempt to the maximum of 8 times in a lifetime. GMAT Registration Date is not confirmed yet so you can go for the previous year date and prepare accordingly. No maximum age limit is specified for GMAT. But at the time of applying for GMAT, the candidate should be at least 18 years old. Candidates should have graduated in any stream from any recognized universities or institutes. Candidates who have already applied 8 times will no longer be eligible for this. Candidates looking for how to apply for GMAT Application Form can view the given steps here. Fill the details like first name, last name, mail id, password or confirm password and agree to all terms & conditions. Click on “Create Account” button. If you have already an account, then login to the account with the login credentials. Fill the application form in 6 steps i.e. personal details, profile details, verify profile, schedule the test, confirm exam details and payment process. Candidates can pay the application fee through online mode via credit card/ debit card or any other way. GMAT Examination Fee is US $250 i.e. equal to Rs. 17027.5 according to Indian Rupee. The fee will be non-adjustable/ non-refundable/ non-transferable if you cancel your test within less than 7 days or 24 hours before the exam. Applicants can select up to 3 test centers as per their choice or convenient. To confirm the exam schedule, submit the form and take out the print of it for future use. Still you have any doubt related to GMAT Application Form 2019, you can drop your query in the below comment box.